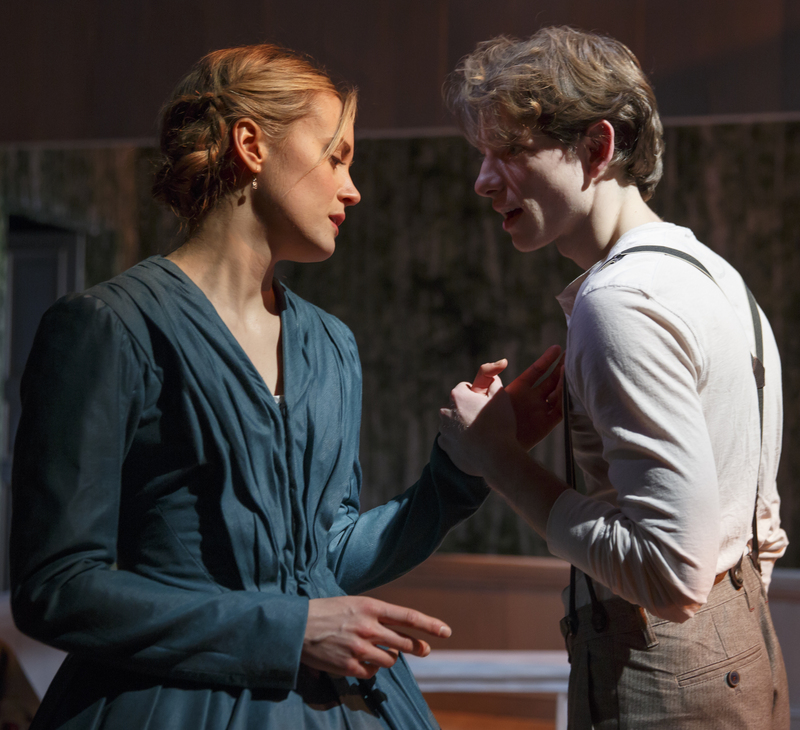 Taylor Schilling, the alabaster-skinned beauty who burst into the public consciousness two years ago as the preppie bisexual inmate in the Netflix hit Orange Is the New Black, is a disconcertingly perky Natalya in a turgid revival of Ivan Turgenev’s melodrama A Month in the Country, running though Feb. 22 at Off Broadway’s Classic Stage Company. It’s an approach that’s all wrong for the character, making a much-vacillating heroine all the more inscrutable. 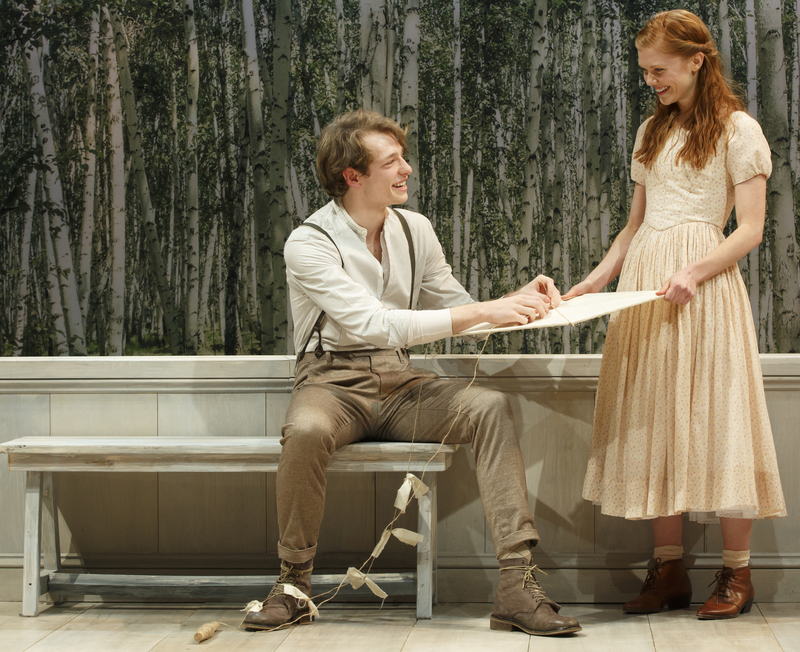 Natalya is at the center of Turgenev’s domestic drama, set in a rural estate in 1840s Russia. She’s torn between her stalwart but oblivious husband (ER alum Anthony Edwards, mostly wasted here), the devoted family friend who’s long pined for her attentions (Peter Dinklage, whose wooing seems more cautious than heartfelt), and the apple-cheeked Moscow college student hired for the summer to tutor her young son whom she eyes with cougarish lust (Newsies alum Mike Faist, who looks mostly stiff and uncomfortable). But there’s a huge disconnect between the Natalya who is described variously as “cold,” “moody,” “bored,” and “sighing so much” and the Natalya embodied in Schilling’s performance, which is generally none of those things. When Faist’s Aleksey claims that he’s intimidated by Natalya, it rings hollow because she’s been nothing but sweet and coquettish to him in their first scene together. Her entire performance is oddly underwrought, as if she’s merely digested her own lines and none of the other characters’ about her. Nothing quite rings true. 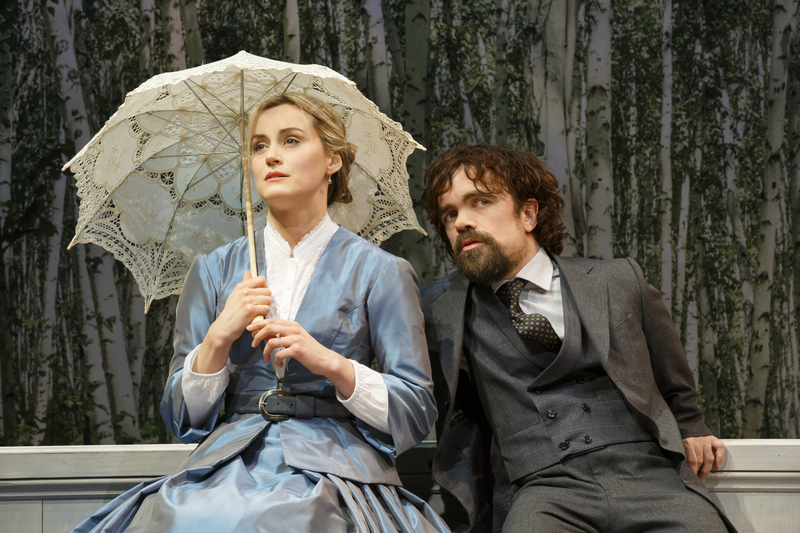 Dinklage, the Emmy- and Golden Globe-winning star of The Game of Thrones, also seems to be grappling for the right tone for Mikhail, a longtime admirer of Natalya’s whom she strings along for much of the play. His casting is an interesting one, with his diminutive stature offering an unspoken rationale for Natalya to hold him at a distance even as she rather shamelessly revels in his secretive seductions. But in too many scenes, he masks Mikhail’s supposed ardor behind a veil of pleasant equanimity. Next Next post: OscarSauce: Could front-runners Julianne Moore and Eddie Redmayne be felled by the ‘Norbit’ effect?